When dressing in couture for evening events, the key is to find the right amount of sparkles, diamonds, and hair. It’s a whole package; nothing is more unappealing than a stunning tuxedo with a pair of business casual wingtips. It is not appropriate to wear a full-length evening gown before 4:00 p.m. It is appropriate to wear a cocktail dress to formal occasions or black-tie events that take place earlier in the day. As evening approaches, anything above the ankle is not acceptable when invited to a black-tie event. Cocktail attire is not necessarily a suit; it can be a sport coat and dress pants. However, it does require a collared shirt and tie of sorts. If an invitation reads “formal,” you are to wear a suit and tie. 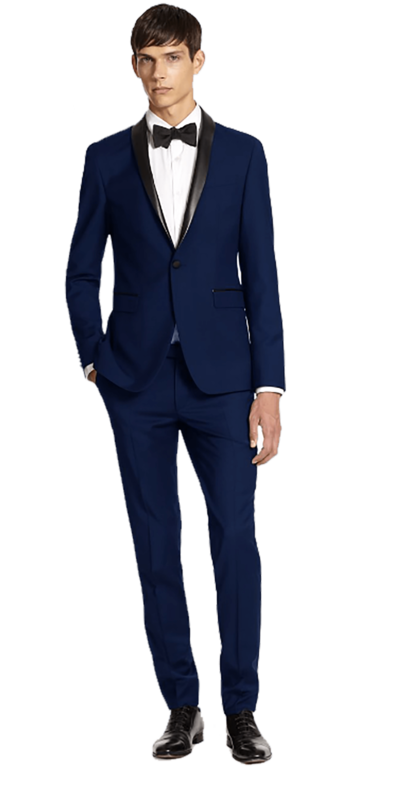 Black-tie attire requires a full tuxedo and, more often than not, an actual black tie. Typically, a bow tie is the most formal; however, a long, black tie has recently become politically correct. White-attire is considered the most formal dress, and a tailcoat—referred to as a dinner jacket—is required with a white bow tie. This does not require a white dinner jacket. When wearing a couture evening gown, it is important to keep the right amount of coverage in mind. Gowns are often sleeveless or very sparing on the shoulders and décolletage. There is no exact science or etiquette for this, but if your shoulders are bare, you should have a bolero or wrap of some sort. It is a question of modesty (and also convenient if you are cold). Accessorizing your evening ensemble can be complicated. Most of the standby rules do not apply. For example, in a business setting, it is not appropriate to wear a slinky shoe. In the evening, a more delicate, heeled sandal can be the most elegant option. Typically, it is considered most accurate to have your accessories match, but with eveningwear, this is not necessary. Jewelry can be a range of gemstones, and cufflinks do not have to match the watch. A lady never wears a timepiece after 5:00 p.m. if it is a formal event unless it is a designated evening watch, typically with more of a bracelet band, rather then a skin. Wearing couture is simply not enough to be put together at a formal event. This evening gown is the perfect example of a stun- ning dress that requires a stole of some sorts. Not that it needs to be worn through out the entire evening, but a wrap is required without question for the Brunello Cucinelli ensemble. This classic little Oscar de la Renta Bolero is a simple and sophisticated cover-up to pair with a gown. The elegant ribbing makes this cashmere-silk blend bolero a great way to cover one’s shoulders at a black-tie event. A navy tuxedo is acceptable at black-tie affairs. This Sand Tuxedo has a black color that transitions perfectly to black-tie. However, if one feels the need to keep it classic, a black tuxedo will go under the radar.